Cycle Seahaven have been granted a club discount with Proviz Sports! Some of you may have seen the jacket that Ricki Carver is proudly wearing, or the backpack that Gray Brett is carrying: both excellent visibility in daylight, but Ricki’s jacket and the triangle on Gray’s backpack turn ghostly in appearance at night – superb visibility! 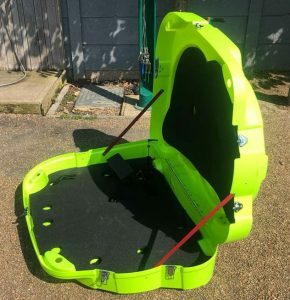 The company, started by two brothers on their daily London cycling commute realised that there “was a gap in the market to provide highly innovative, light-emitting and reflective cycling products” and Proviz was born. With clothing for the whole family (including the dog!) you can purchase waterproofs to gilets and helmets to lights. 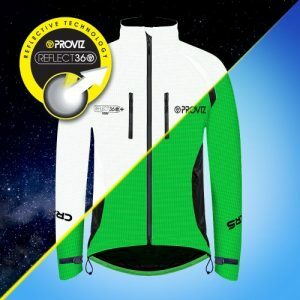 With the nights drawing in, there’s no better time to update your wardrobe – with free tracked delivery on orders over £50 and a 15% discount for Cycle Seahaven members, take a look at the Proviz website to see the whole range, and enter the code CycleSeahaven15 at checkout to get a great 15% discount. https://cycleseahaven.org.uk/wp-content/uploads/2018/10/front-page.jpg 454 1304 Michelle Brett http://cycleseahaven.org.uk/wp-content/uploads/2012/04/CycleSeahaven2-300x298.png Michelle Brett2018-10-13 23:29:042018-10-14 12:41:07Fancy a Clothing Discount? 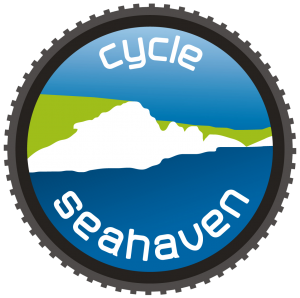 Cycle Seahaven is passionate about cycling safety and is conscious that many pedestrians are concerned that insufficient or no warning, on occasions, is given by cyclists as they approach pedestrians, in particular on shared cycle/footpath routes. Cycle Seahaven is offering Members the opportunity to purchase a cycle bell from Mr Cycles in Seaford with a £3 discount on their purchase. In a number of cases the bell may be free of charge. If you decide on a bell which exceeds £3 then you only pay the cost difference. Please help us improve rider safety, if you need a bell visit Mr Cycles and make the most of this offer. Don’t forget to take your current Membership Card and either your bike or the diameter of the handlebars where you will want to put the bell. • Fits most wheel sizes from 26 inch to a 29er and all road wheels. • Stylish design in a distinctive colour. Contact Tracey Martin for bookings on Contact the Committee. Since the weekend I have refitted my WIZ20 dual LED, wireless light on my commuter bike, and this has brought a smile back to my face, this light is good!!! Since the clock went forward, I have been cycling with an Aldi 240 lumens COB type rechargeable bike light £12.99 and a Lezyne Zecto drive Pro 80l for £38 giving a total of 320 lumens for around £50 in total, I can not make a direct comparison as they are very different and even the price of the two is half the price of the WIZ20, but I think, it worth sharing my findings. The Aldi light is again very good value for money, but this is really a flood light with very little throw, so you end up having good light by your front tyre but not extending forward very much, ok on very well lit roads but not much good if you going at speed on badly lit roads , le Lezyne Zectro drive pro is kind of the opposite with a very fairly narrow beam but reaching a further. Both light are great to be seen but are not much good for you to see the ground and spot pot holes in time to miss them. The Zecto Drive Pro can double up as a rear light so this is quite handy to have a secondary light in case your main front or rear light packs up. 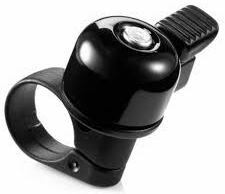 The Aldi one in my mind is much better for dog walking or around the house as a torch, very broad beam , ok as a bike marker light or a flashing light. Both are USB rechargable. Now going to the Ituo WIZ20 1500l for which I did a review for the club last year. Well, as I said, as soon as I turned it on, I had a grin on! Nice broad light beam reaching far in front of your bike and still putting plenty of light by your front tyre. This kind of reminded me of the type of lighting you get from a car. The beam given by the WIZ20 is nice and safe for you to ride at speed in lit up or dark road, I had to turn it down to its standard low setting 250 lumens which does give you 14h. I have used it off road many time last year and this is also ideal for MTB if you want to go wireless (this is also the one I usually lend to some of my new riders if they need a light) Like the others, this is wireless and USB rechargeable and its output is programmable. All this of course does come in with a higher price tag, under £100! Price of a Volt 800 or a Lezyne Deca 1500 but once you check the specs and start reading reviews you will see how good the WIZ20 is, specially for a light under £100! When you’re new to cycling it’s often tricky to work out what to wear. The weather will play a big part in how well you wrap up but a few basic principles will help you stay comfy. Mandatory on club rides. It’s best to get fitted for a ‘lid’ (helmet) at your local bike shop. The side straps should meet just below your ears and the helmet should stay in place when you tilt your head (chin on chest) even without the chin strap done up. Cycle helmets (crash hats, brain buckets, skid lids) come in different shapes and sizes, so try on a few before you buy. A slight discomfort may not worry you short-term, but on a longer ride it might become really annoying. Try to wear thinner layers that are easy to add and remove, rather than one thick garment. You may get hot on a climb but on the flat or downhill you might get cold, so being able to quickly adjust your layers is important for comfort. Be prepared: If you need to add or remove layers then you’ll need a way of carrying unused layers – this could be a rucksack, panniers, or simply tying the arms of the garment around your waist. Be careful of tying clothes around yourself as it’s easier to get them caught in the moving parts of your bike. Avoid cotton unless it’s a specific sports weave, as this will soak up sweat and leave you feeling clammy. Instead, opt for polyester or merino wool – both are good at ‘wicking away’ moisture and also at keeping down odours. Sports specific clothing isn’t just a marketing gimmick – the materials are designed to keep you dry and comfortable. Bamboo fibres are becoming more popular, too. Long sleeves or short, it’s up to you, but be careful of sunburn as well as the cold. If you’re wearing layers (and you should) then consider something easy to swap – a full-length zip might help, or something less fiddly to remove than a skin-tight layer. A short-sleeved polyester t-shirt or sports top, then a long sleeved one, followed by a jacket will give you plenty of options as a starting point. Adjust this according to the expected weather at the start and end of the ride – thicker materials for the cold and thinner ones for warmer days. Avoid T-shirts and tops that have a design printed in thick ink, as this will act as a water barrier to keep sweat in. Logos should be ‘sublimated’ into the material or be minimal. Watch out for high winds. Even on a hot day a strong wind will dramatically cool down a hot and sweaty body, so take a light wind-proof jacket. Your legs are what will be doing the bulk of the work, and will get hot and sticky quite quickly. Shorts and/or leggings/tights are a good bet. Again go for sports materials to disperse sweat; that includes underwear – see our article on saddle sores. Thin gloves for summer, thick gloves for winter. Seems simple enough, eh? Winter gloves: Be careful wearing thick or ill-fitting gloves as these may interfere with braking and/or changing gear. Summer gloves: Why wear gloves in the summer? Gloves are not only protection from the elements but also if you fall off. Your hands are often what take the brunt of an ‘unintentional dismount’, and a protective layer will help prevent gravel rash. Fingerless gloves are great for warmer weather as they provide protection and comfort, and they interfere less with gear changes and braking. Cycle specific gloves sometimes come with padding at key pressure points on the palms, making longer rides more comfy. Assuming you are using normal ‘flat’ pedals, and not ones that are clipped to cycle-specific shoes, then start out with trainers. After the ride make sure your shoes get properly air dried. To help reduce smells insert a few used, dry teabags or sprinkle in bicarbonate of soda. You can even stuff shoes into a plastic bag then put them into the freezer to help kill bacteria and so reduce smells. Wet shoes can be stuffed with newspaper and allowed to dry naturally. Specific cycling shoes have very stiff soles that don’t flex when you pedal, which helps transfer energy to your back wheel more efficiently. Most have the ability to lock into special pedals using a ‘cleat’ underneath the sole that engages with a special pedal – they take some practice before you can easily remove your foot from the pedal. Avoid thick and heavy coats as they are often too warm. Instead, go for more thinner layers. For short trips you might want to take a thin and cheap rain cover, but for longer adventures it’s better to get some good waterproofs. 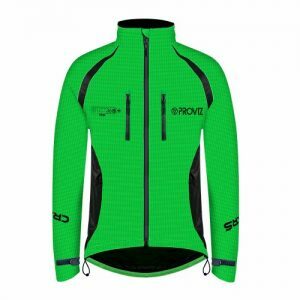 Cycle specific jackets have a longer back that keep you warm while you are in the cycling position. There are some high-tec materials out there that will keep you dry from the outside while allowing sweat to evaporate from the inside. You certainly get what you pay for, and it’s worth asking other riders what they like to wear. Waterproof socks are a cheaper alternative to waterproof shoes, but make sure you dry your shoes correctly post-ride. You may also need to a half-size or full size bigger on your shoes, as waterproof socks (especially thermal ones) may be thicker than your normal socks. As you ride more you will learn what sort of clothing suits you. Got any advice you want to share? Please get in touch using our CONTACT page. I have just found that Singletrack Magazine have reviewed the ITUO WIZ20, a twin LED, 1500 real lumens with interchangeable and USB chargeable batteries that I have been using for months and reviewed for our club back in December. 5 month later, I am still extremely impressed with the WIZ20, this is a fantastic light, with a high build quality and loads of power. You will get your 2hours + on high from this light and if you need more you can just drop in a couple of 18650 batteries! 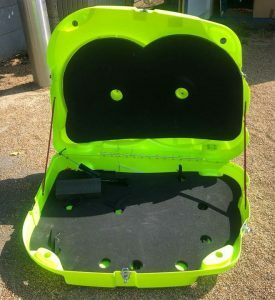 I would also like to remind people that the UK distributor www.brightbikelights.com is giving cycleseahaven members a discount by using the code “SEAHAVEN”. Please note that the light is only been sold via Appointed Distributors across the world, some of the Chinese mail order bargain websites are advertising the light (with some stolen photos of my review), but they have no stock as Ituo does not deal with any of them. The wIZ20 is my resident bar light, so if you see me on the trails, have a look! We’re easily going to hit our order target of 50 jerseys for 2016, so we are not far from placing our order. Get your order in soon or you may miss out. We are only ordering for those that have pre-paid. We will not be ordering any spares. These jerseys come up very small, so you must be sure of sizing! I have a jersey from the last batch which is two sizes bigger than I would normally get (honest), and it’s perfect. It’s very important that you order the correct size as we won’t be able to exchange them for a different size. Mr Cycles in Seaford (opposite the train station) has samples of every size that you can try on to find your perfect fit. They’re expecting members to pop in, and many already have. Cycle Seahaven have some very powerful front lights for members to borrow on club rides. 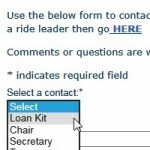 You can request a loan set by selecting ‘Loan Kit’ from our Contact page. Let us know your membership number and when you require the lights and we’ll arrange to get them to you. The front lights come with a rechargeable battery and are easily fitted to the handlebars without the need for tools. If you take a shine to the lights (ha ha) then you can purchase your loan light from the club for £14.50.